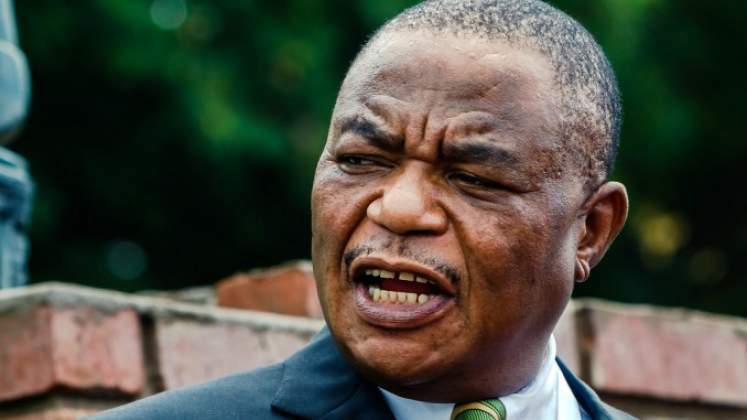 The Minister of State Security under Acting President Chiwenga's government Owen Mudha Ncube has instructed all Internet Service Providers to open up internet access save for specified social media applications. Ncube yesterday had directed all service providers to shut down internet completely, the second time this week. Internet was unavailable from midnight to 4PM today. 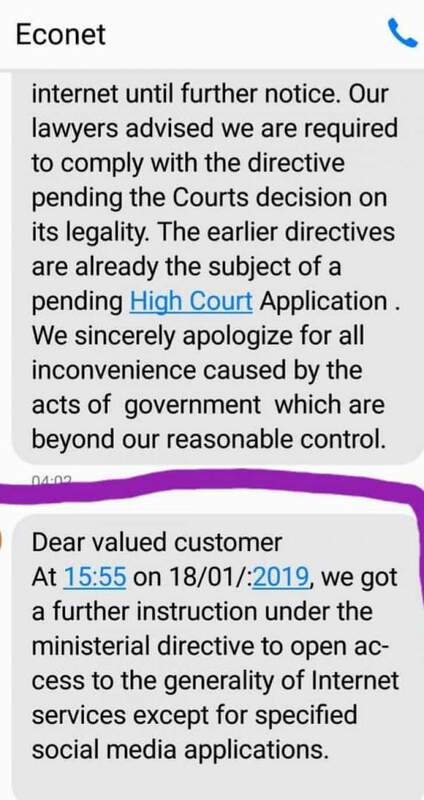 In a message sent to its clients by Econet Wireles, the Telecoms giant said, "At 15:55 on 18/01/2019 we received a further instruction under ministerial directive to open access to the generality of internet services except specified social media applications." Media Institute of Southern Africa Zimbabwe chapter through the Zimbabwe Lawyers for Human Rights has taken the government to court seeking a ruling on the switching of internet.